The most impressive aspect of Lucas' performance was his hold-up play with his back to goal, an attribute rarely highlighted as one of his strongest. He deserved his goal, which was dispatched with typical ruthlessness. Pochettino's men fully deserved their equaliser and could have won the game had Sissoko shown more composure, but there simply cannot be any excuse for Lloris failing to catch a relatively simple header so late in the game. 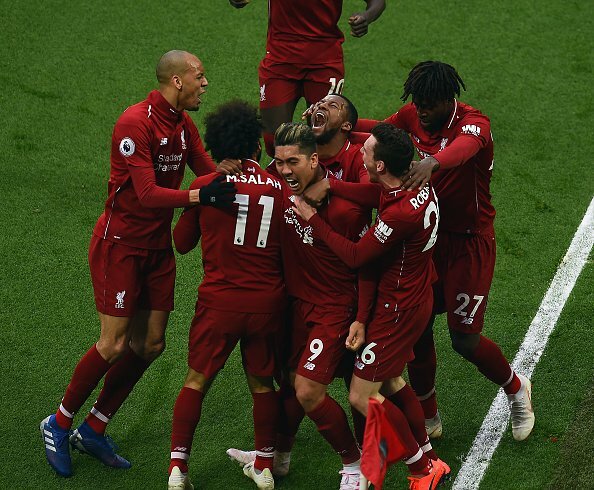 - Liverpool extended their unbeaten home league run to 37 games (W27 D10) â€“ the joint-second longest such streak in Premier League history (level with Manchester City), behind only Chelsea's 86-match run between 2004-2008. - Liverpool's total of 79 points is their best tally after 32 matches of a top-flight season (adjusting to three points for a win), surpassing the 76 they had in 1987-88. - Tottenham have now lost 17 of their 27 Premier League visits to Anfield (W2 D8); only at Old Trafford (21) have they lost more away games in the competition. 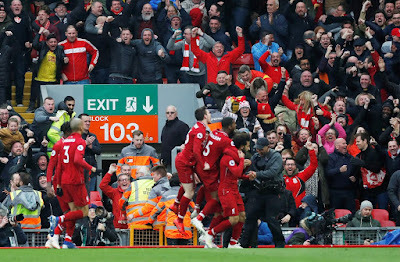 - Liverpool have scored three winning goals in the 90th minute or later in the Premier League this season, their second most in a single campaign after 2008-09 (four). - This was Tottenham boss Mauricio Pochettino's 150th defeat as a manager in all competitions, seven of which have been to Liverpool. Only against Chelsea (nine) has he suffered more defeats.